Lauren Grabelle — The Hopper | Environmental Lit. Poetry. Art. This series, Natural Boundaries, is about deep and boundless empathy. It was shot very early in my career, in the early 1990s. It is an exploration of place, home, and belonging—for myself and for the captive animals I photographed. At the time I created the series I had yet to find where I belong. My environments had always felt very artificial to me; I found myself in places in my life where I was there solely as an object on display, meant only to be observed and rarely interacted with, just as with these beings captured in my stare. 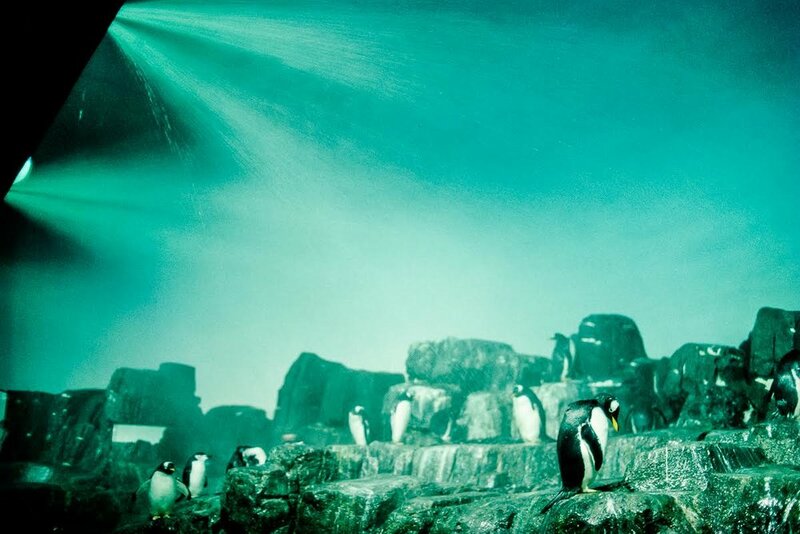 I was not alone in experiencing their captivity this way: at the Central Park Zoo Polar Exhibit I overheard a young girl ask her mother if the penguins got to go home at the end of the day. Lauren Grabelle is originally from New Jersey, but moved to Montana to heal the wounds that are created by living in the most densely populated state and being so isolated from nature. Her photography falls in the matrix where fine art and documentary meet, where she can tell truths about human relationships to other people, animals, nature, and ourselves. Her work is about empathy. She has been exhibited nationally and internationally at Blue Sky Gallery, Arthill Gallery London, Colorado Photographic Art Center, Candela Gallery, Newspace Center for Photography, powerHouse Arena, Yellowstone Art Museum, SE Center for Photography, Station Independent Projects, Slideluck @ Photoville, Trieste Photo Days photo festival in Italy, and the Montana Triennial at the Missoula Art Museum, and online at Humble Arts Foundation, Der Greif, and World Photo Organization, among others. Her work has been published in The New York Times, Harper's, and the Virginia Quarterly Review.